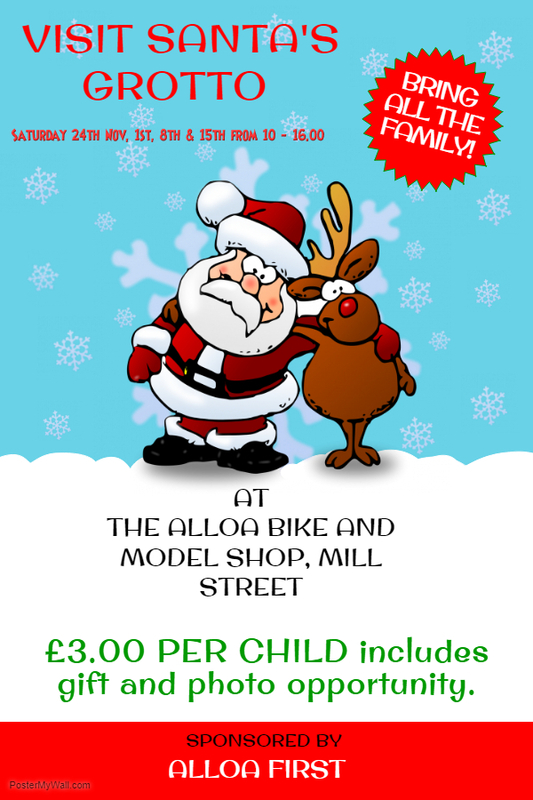 Santa will be in his Grotto at the Alloa Bike Shop on Saturday 24th Nov, 1st, 8th and 15th from 10.00 – 16.00. £3.00 per child which includes a gift and photo opportunity. All money raised goes towards Alloa Christmas Switch On event.